Get that hair slicked back and practice those smiles! Picture day is Monday, Oct 16. We need volunteers to make sure those classes coming in on schedule. If you can free up your morning or afternoon, or even just an hour, please contact Andrea Cooney to help. ASE class registration NOW OPEN! 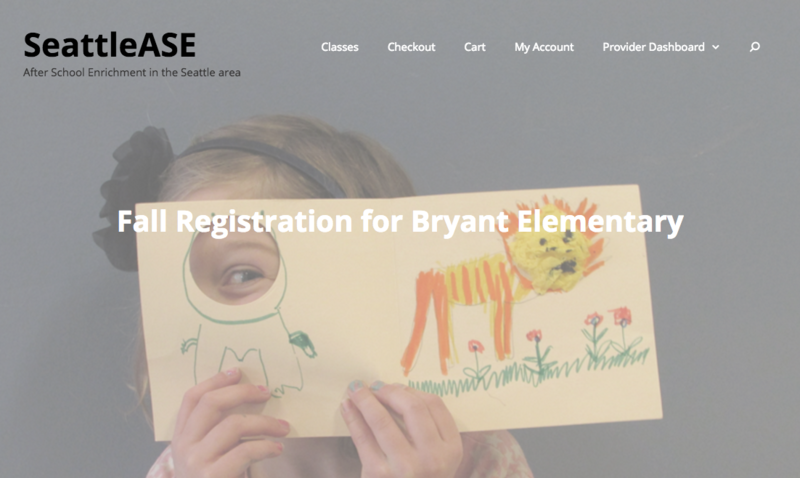 For registration and information visit www.seattlease.org or follow the After School Enrichment link under the Enrichment tab. There you can view all of the class descriptions, and register and pay online all in one place. Registration will close September 17th, with classes starting the first week of October.